Belding's savannah sparrow (passerculus sandwichensis beldingi) is a non-migratory bird that occurs in coastal salt marshes. This is a state listed endangered bird, and a good candidate species for federal protection. This species has a typically sparrow-like dark-streaked brown back, and whitish underparts with brown or blackish breast and flank streaking. It has whitish crown and supercilium stripes, sometimes with some yellow. The cheeks are brown and the throat white. The flight feathers are blackish-brown with light brown or white border. The eyes are dark. The feet and legs are horn-colored, as is the lower part of the bill, with the upper part being dark grey. The Belding's savannah sparrow is one of the few bird species that resides year-round in salt marsh. It depends entirely on this ecosystem for nesting and foraging. It typically nests in pickleweed (salicornia virginica). Nesting season extends from January to August. Nests must be above the highest tide line in spring as the eggs are not resistant to inundation. Although focused surveys were not conducted for Belding’s savannah sparrow, this species was observed during the 2009 focused surveys for other species and during previous surveys. Potentially suitable foraging and/or nesting habitat for Belding’s savannah sparrow, is present primarily in the salt and freshwater marsh areas on the Newport Banning Ranch development project site. The tidal marsh habitat on the project site is separated by a chain-link fence from the adjacent restored United States Army Corps of Engineers (USACE) salt marsh habitat that supports the light-footed clapper rail. This fence generally precludes the light-footed clapper rail’s use of the tidal marsh habitats on the project site, especially for nesting, but not the Belding’s savannah sparrow’s use of these habitats on the project site. The least bittern and Clark’s marsh wren may also forage and/or nest on the site in wet years when ponding and freshwater marsh vegetation is extensive. Of these species with potential to occur, only the Belding’s savannah sparrow may nest on the project site. 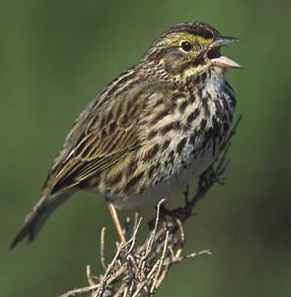 Oilfield remediation activities would impact marsh habitats used by these Belding’s savannah sparrow. This species has potential to nest on or immediately adjacent to the Project site and could therefore be impacted by necessary oilfield remediation activities. Any impact on this species would be considered significant.